Hall of the Mountain King: Best of '07: 4. 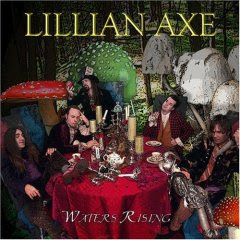 Lillian Axe, "Waters Rising"
I grew up in Lillian Axe's Louisiana stomping grounds, checking them out regularly at local clubs once I was old enough to get in (and, truth be told, a few times before). So, even though it's been a lot of years since they've released a new record, and even more since they've really been relevant, I still have a soft spot for the band. They were always great live, and still are. 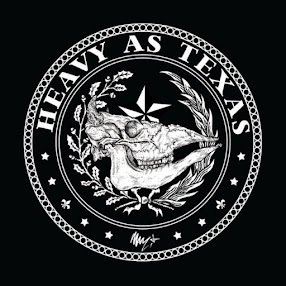 I last saw them about four years ago, and there was just as much energy in the room when they launched into the opening riff of "Misery Loves Company" as there was when I was an 18-year-old in the front row in 1990. I've waited a while on this record. When I interviewed guitarist Steve Blaze in 2003, they were working on it. Later that week, when I saw them live, they played two impressive songs from it, "Waters Rising" and "Become a Monster." I expected to have the new record in hand by the end of the year. Instead, it took four, but for the Lillian Axe fans that are left, it will be worth the wait. Though the title track has been written since at least 2003, it's a little more meaningful these days in the wake of Hurricane Katrina, as many people in their backyard know what its like to see their lives "slip right through the cracks as I watch it wash away." It makes what was probably already the strongest number on the album from a musical standpoint even more poignant. In truth, not much has changed with Lillian Axe over the years. The songs are a bit darker, a bit more serious here than songs like "Misery" or "My Number" from their first couple of albums. This one falls somewhere between the sound of Love and War and the heavier, more progressive Psychoschizophrenia, arguably the band's strongest effort. While you can still look for the catchy hooks like the aggressive chorus of "Waters Rising" and the bouncing "Become a Monster," there are also more numbers here like "Antarctica" that go for an epic, story-telling feel. The biggest change that fans will note is the absence of long-time vocalist Ron Taylor. Taking over the vocal duties on this record is newcomer Derrick LeFevre, who admittedly sounds more than a little like Taylor, but fans who have been with the band since the early days will still likely miss the voice of Lillian Axe. That said, LeFevre does an admirable job on this record, and I have no doubt that he can do justice to the older material live. The focus, of course, has always been on the fretwork of Blaze, and that's as good here as its ever been, as evidenced on the instrumental closer "5" which finds him plying those trademark lightning licks. As on Psychoschizophrenia, Blaze and co. attempt to stretch their boundaries without breaking from the sound that fans know and love. You'll find little flourishes like the almost reggae-ish opening of "Quarantine" and the cello sounds that begin "Fields of Yesterday." The very dark turns on this record, including "The 2nd of May" and "Deep in the Black," will rank among the band's best work. "The 2nd of May" features a mocking, fairy-tale like lilt in the melody that still manages to be sinister, and "Deep in the Black" is probably the grittiest tune the band has ever done, very brooding but with some nice classical undertones in the heavier parts. There are of course, a few ballads here, which are hit and miss. "I Have to Die, Goodbye," doesn't quite reach the sense of hopelessness it should, but "Fields of Yesterday" has some interesting melodic elements that raise it above the average ballad. Semi-ballads like "Until the End of the World" are very reminiscent of numbers like "World Stopped Turning" from the band's early years and may take you back a bit. In all, fans of the band should be pleased with this new, more grown-up version of Lillian Axe. While I don't mind waiting for a quality record like this one, here's hoping we don't have to wait another eight years for a new studio album. Second opinion: This is a great comeback record from a favorite of my misspent youth. Some of the songs that I didn't care for the first time through, like "I Have to Die, Goodbye," have grown on me the more I listen to it. Great record.